The precarious controversy of the Costa Rica online casino license. Throughout the years, I’ve stated many times that online gambling companies licensed in Costa Rica can’t always be trusted. Some are perfectly upright businesses, others are rogue operators waiting for enough deposits to come in to secure a tidy profit before vanishing with their players’ money. I realize, however, that I’ve never gone into full detail on the topic. Today, that’s going to change. In the following text, I’ll give a complete blueprint of local laws regarding Costa Rica online gambling licenses. You’ll learn what a company must do to obtain and sustain a license, and the limited number of regulations they are subject to. Costa Rica has very strict laws on gambling. Residents are prohibited from gambling on any game or contest with a random outcome. That covers all casino games, like slots, roulette and poker, and then some. Games of chance are illegal on land, and illegal online. 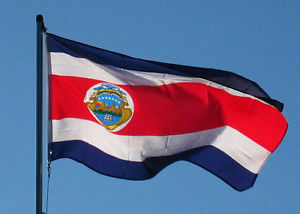 The Costa Rican government, however, opines that online gambling does not take place at the location of the server, but rather the location where the player places the bet. Therefore, it is perfectly legal to operate an online casino in Costa Rica, so long as players from Costa Rica cannot participate. The major point of interest here is that Costa Rica doesn’t actually offer an “online gambling” license. Since chance-based gambling is illegal in the Central American country, law makers aren’t interested in developing a licensing process for it. Instead, they offer a “data processing license”. So when you see a casino website advertising a “Costa Rica license”, they have a data processing license; not an online gambling license. Oddly enough, the data processing license is not a requirement to operate an online gambling website from Costa Rica. That’s optional, but most casino sites will obtain one, simply because they’re cheap and it sounds better to say they’re “licensed”. What is mandatory, however, is a local office and an offshore office. Why two separate offices? Because Costa Rica gambling sites aren’t allowed to process gambling proceeds in through a Costa Rican bank. They must have an offshore bank account, thus an offshore office to link it to. 1. Establish an incorporated office in Costa Rica with a name ending in S.A. or S.R.L. (limited liability). 2. 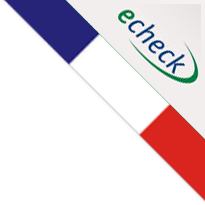 Open an incorporated offshore office for payment processing. 3. Have an offshore bank account to store gambling proceeds. 4. Do not accept Costa Rican Players. Unfortunately, there are no regulatory compliance standards for online casino licensees in Costa Rica. As I said, the government doesn’t deal in gambling legislation, except to say that the activity is illegal on Costa Rican soil. And since there are no laws on the books disseminating acceptable practices for online gambling sites, operators are under no obligation to comply with any moral or ethical standards. In the beginning, I noted that the owner of a Costa Rica online casino license may host perfectly upright business practices. This is 100% true. Years ago, Bodog.com operated from Costa Rica, and it’s among the oldest, most respected gambling operations in the world. Costa Rica is a tax haven, and delivers tax-free access to some major countries, like the US, through free trade agreements. Therefore it’s a mighty attractive location for operators who want to accept US players. On the flip side of that coin, because operators are not under any legal obligation to conduct an upright business, it’s difficult to place trust in them. If an online casino suddenly decides to ‘take the money and run’, there’s nothing to stop them; no authority for those players to turn to. For this very reason, I encourage all Canadians, like myself, to avoid any website that boasts a Costa Rica online gambling license. Some are good, some are not, but it’s always better to be safe than sorry. Will Canada Online Casinos learn from AU+NJ Teamwork?